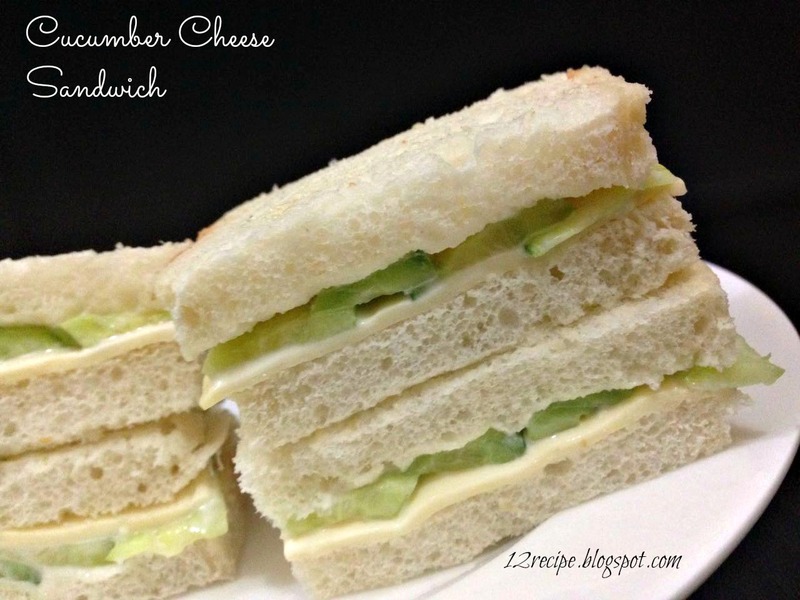 A cucumber cheese sandwich is a versatile and elegant choice for adults and kids. It’s simply tasted delicious with only few ingredients. Here is the quick preparation of pretty cucumber sandwich. Peel the cucumber and cut them in to small thin slices. Sprinkle lemon juice, pepper powder and salt over it and let it rest for 5 minutes. Mix curd with thinly chopped coriander leaves and a pinch of salt. Apply half a tablespoon of curd on top of a bread slice. Top it with tossed cucumber pieces. Then place a cheese slice over it and again top it with another half a tablespoon of curd evenly. Lastly cover it with a slice of bread. Also, prepare another sandwich in the same manner.